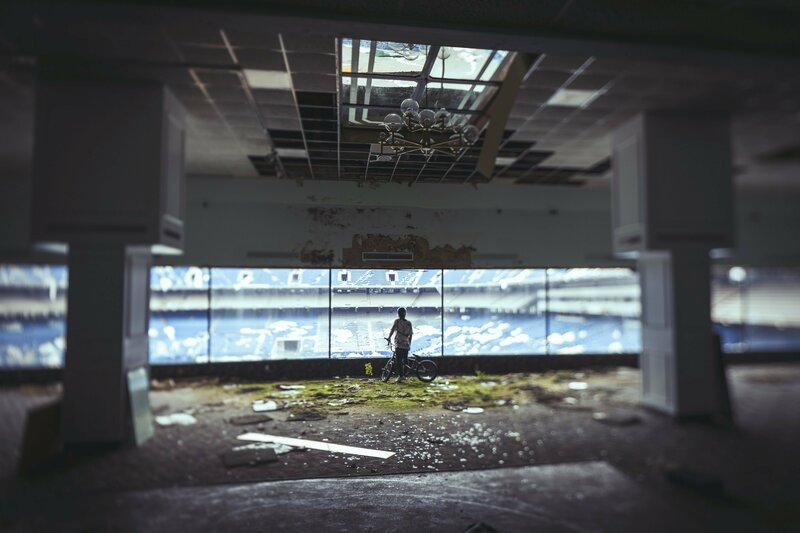 The future of the Silverdome, the abandoned and crumbling stadium where the Detroit Lions once played, is uncertain. In the meantime, however, it makes for an incredible BMX course. 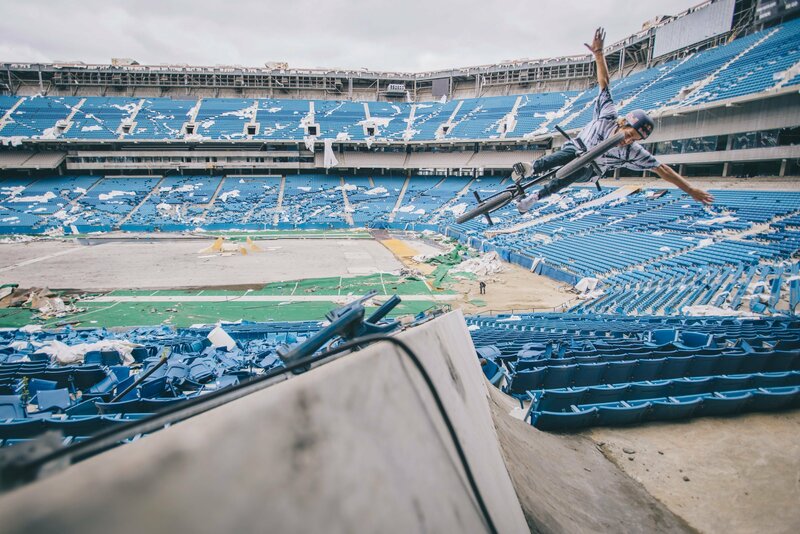 In May, Red Bull arranged for pro BMX biker Tyler Fernegel to get free rein of the Pontiac, Michigan, stadium for several days. The company released video of the session Tuesday. Photo by Ryan Fudger / Red Bull Content Pool. Fernegel’s stunts are certainly worth watching, but the backdrop is even more eye-catching. In his climactic move, Fernegel starts at an upper-level deck where greenery has begun to cover the floor. He does a 360-barspin down over hundreds of broken seats that were once crowded with football fans and finishes the trick on the field, where the turf has been stripped. It wasn’t Fernegel’s first time riding through the Silverdome -- the 19-year-old Michigan native raced amateur Supercross there until he was 10, according to a release from Red Bull. At that time, the Lions had already left, having moved to the newer Ford Field in downtown Detroit in 2002. 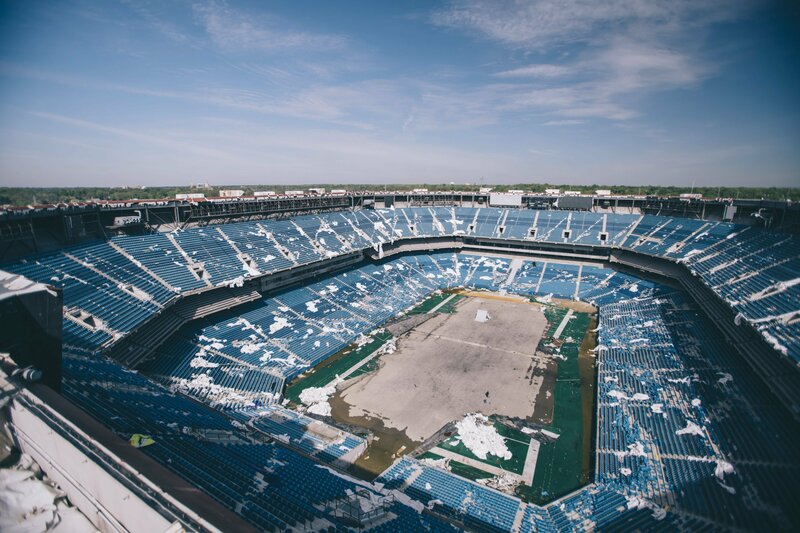 In the years since, the Silverdome has been used as a venue for sports, concerts and other events, but has gone quickly downhill since its roof came down in 2013. Developer Andreas Apostolopoulos purchased the stadium for $583,000 in 2009. Last year, his company, Triple Properties, started dismantling the property and auctioned off everything from turf to copper wiring, netting at least $500,000. Triple Properties, which arranged Fernegel's ride with Red Bull, has said it plans to redevelop the stadium site but has not released details. A competition was held earlier this year to solicit design ideas, though winners have yet to be announced. The company did not immediately respond to a request for comment. Though it probably isn’t a solution that will satisfy Pontiac residents who see the stadium as an eyesore, a one-time BMX course is definitely a creative idea for reuse. See more photos of Fernegel transforming the ruin into his own personal playground, below.